This is my first time hearing the brand BRTC. 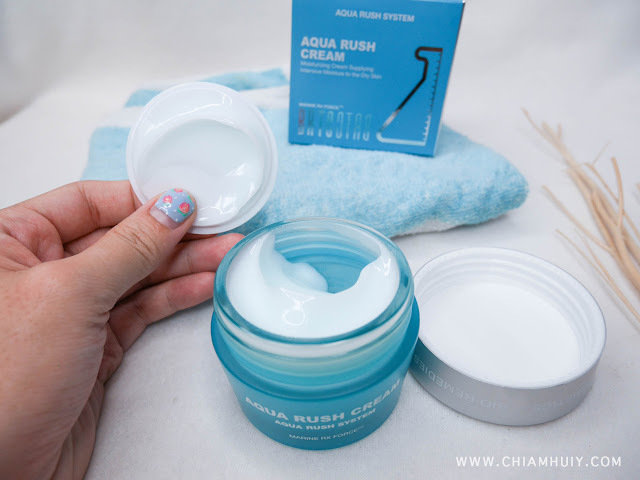 Since I'm so new to this brand, I was quite looking forward to try out and review one of their product - the Aqua Rush Cream. 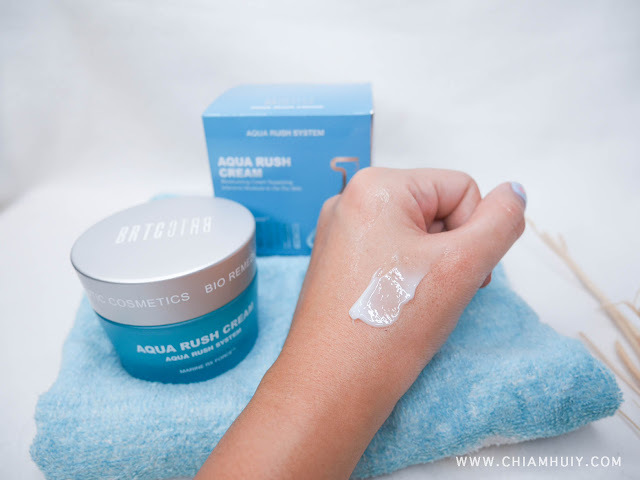 Naturally when we hear the word Aqua, we immediately think of hydration efficacies for our dry skin. Let's see if we are right to think so! The BRTC Aqua Rush Cream is partially made of deep sea water full of minerals and 8 different flower extracts. Together, it effectively moisturizes your skin to keep it supple and hydrated all day. 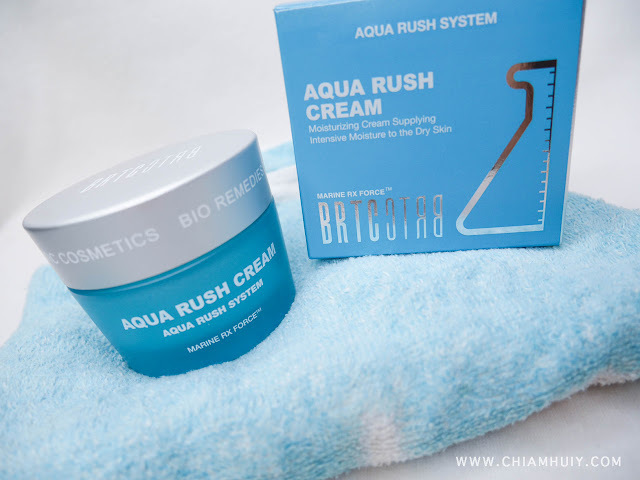 Apply small amount all over the face at the end of your routine (as a moisturiser). Then gently tap for better absorption. 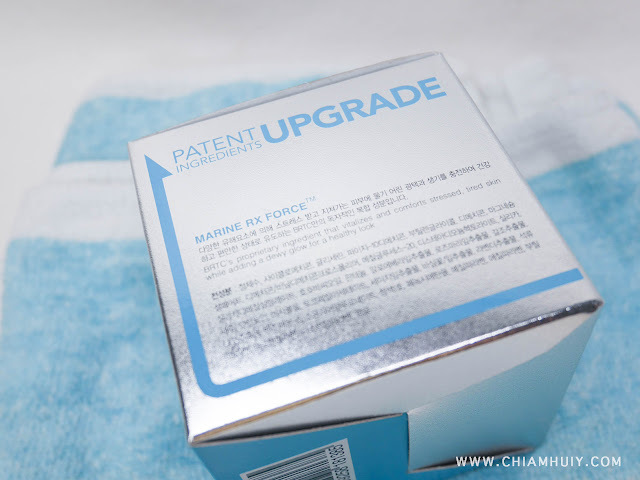 Marine RX Force TM (BRTC’s own complex ingredients that soothe and moisturize your tired skin), deep sea water, Jojoba oil and aloe vera extracts. The texture of this product is like a gel-based cream. 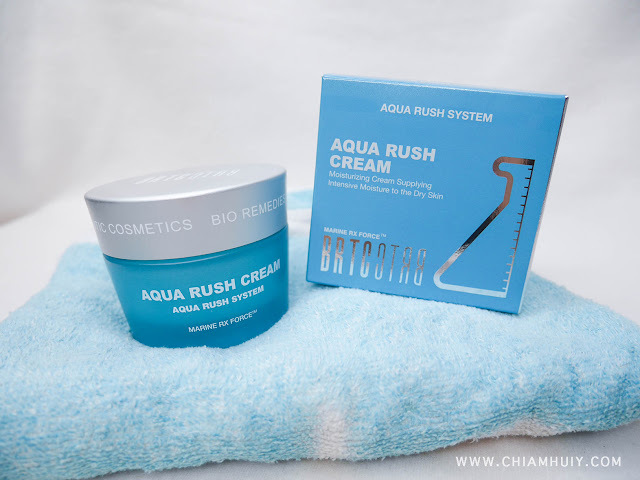 Because it's a very moisturizing, it might not suit people with sensitive skin or those who are prone to break-outs. When spread across the skin, it leaves a slightly heavy texture, which proves my previous point. 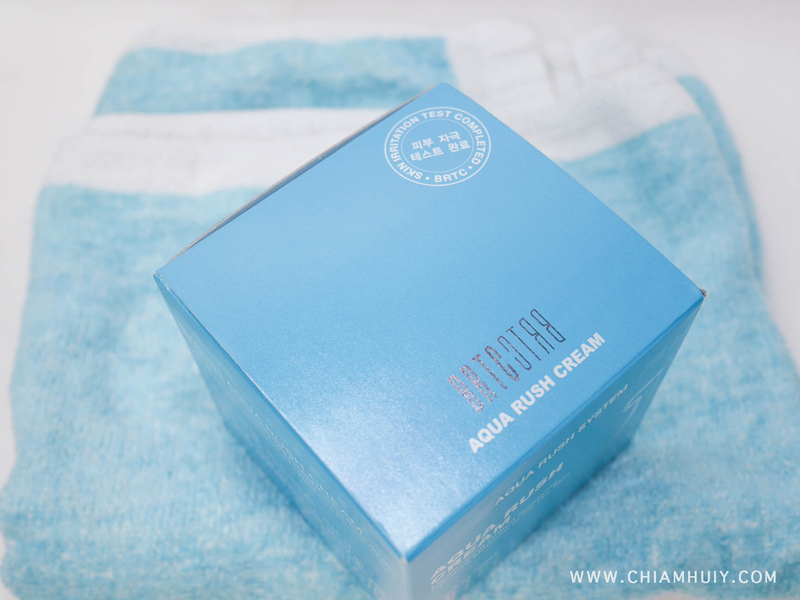 Nonetheless, I find this pretty good for its moisturising effect, and might be a good life saviour if one has really dry skin. I would definitely bring this along if I am visiting any dry countries! 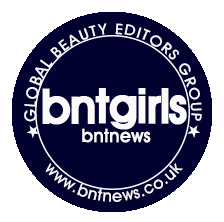 Thank you BNTnews for sending this lovely item over!